(Mount Pleasant, SC) Shakespeare Pub and Grille of San Diego, California has been named the winner of the 2017 Best Fish and Chips in the U.S. contest. Hosted by “Old Speckled Hen”, the UK’s number one premium English Ale, the contest began last November with participation of over 160 pubs across the country. Earlier this month, “Old Speckled Hen” Brewer, Ross O’Hara, and Export Manager, David Patmore-Hill, traveled across the U.S., tasting the top five finalists to name the ultimate winner. The top five finalists included: Shakespeare Pub and Grille of San Diego, CA; McMullan’s Irish Pub of Las Vegas, NV; The Codfather of Phoenix, AZ; From Across the Pond of Dallas, TX; Ye Olde Falcon Pub of Davie, FL. The dishes were judged on batter consistency, fish freshness, perfect chip texture and how well the dish complemented “Old Speckled Hen”. First brewed in celebration of the 50th anniversary of the MG, “Old Speckled Hen” is the quintessential English Ale – smooth, malty with lightly roasted notes of toffee, a truly perfect pairing for the quintessential pub dish. 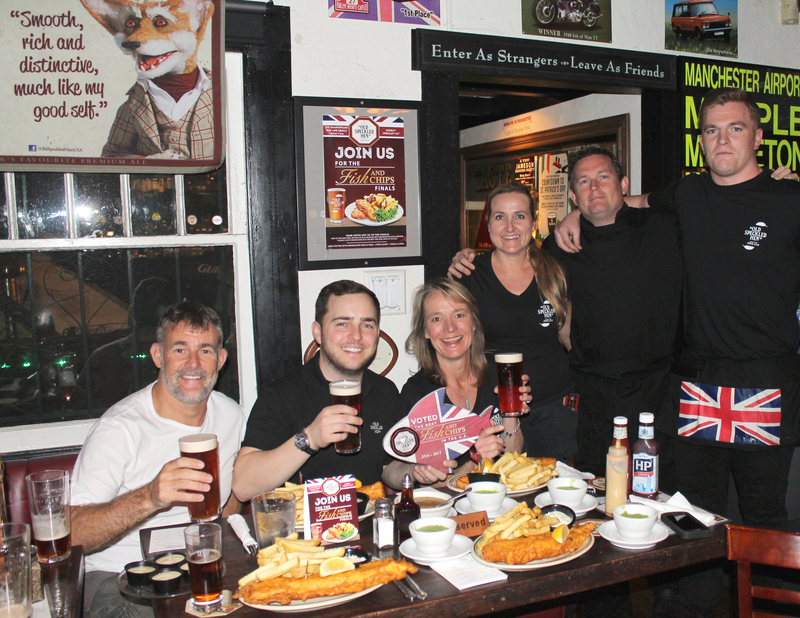 In addition to the title, the pub will receive an award for 2017 Best Fish and Chips in the U.S. during a celebratory party with “Old Speckled Hen” features and 1990’s roll-back prices for the pub’s award-winning fish and chips. 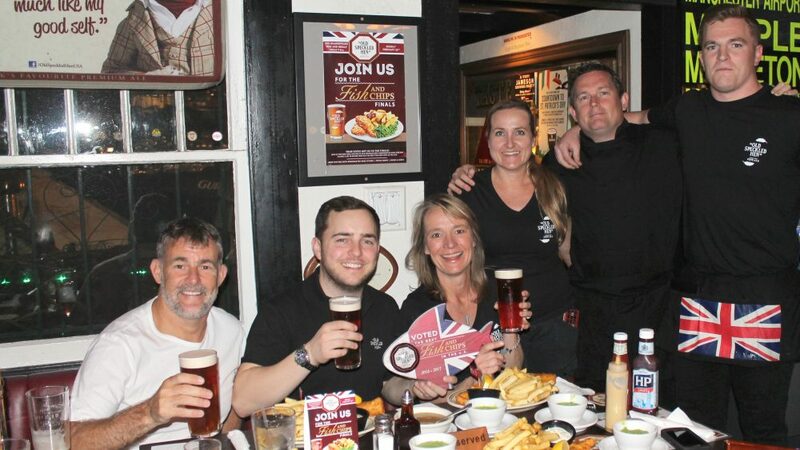 For those pubs wanting to put their fish and chips to the test, “Old Speckled Hen” will go back on the hunt to find the next winner of the Best Fish and Chips in the U.S. beginning this November. Looking for TBS brand logos? Please download our current media kit below. Copyright © 2018 Total Beverage Solution.